FEE: There is no fee to become a NESDCA K-9 Team Evaluator. There may however be expenses associated with travel in the event travel is required by NESDCA to evaluate a potential evaluator. a. Provide evidence of your general knowledge, experience in the evaluation of dog teams. b. 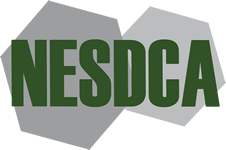 Will you be able to actively participate in NESDCA including responding to correspondence, attending NESDCA meetings, and calls from handlers for evaluation in acceptable time period? d. List the number of dog teams you have evaluated and/or trained in the past. List the company name or organization you're currently employeed by. a. Provide any additional information regarding Law Enforcement, SAR background etc. Abide - If granted NESDCA Evaluator status, I agree to abide by the RULES and BY-LAWS and agree to notify the Secretary of the NESDCA of a change in status, including change of employment, organization represented, location or funding source.